The other Purslane, Portulaca oleracea, is considered a common weed in most of the U.S but did you know it is also edible? 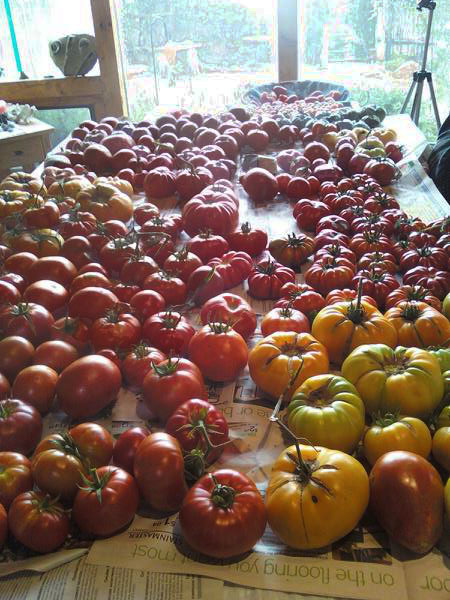 Look how different it looks from the cultivated types I just posted about. I want to write about both aspects of it as a food source and also as a weed. 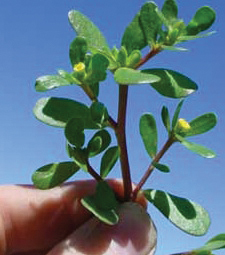 Purslane thrives in New Mexico where the dry climate is conducive to its needs. The plant looks like a succulent with its thick reddish, flesh colored stems and milky leaves. It has a long taproot and produces a yellow flower with many seeds. This purslane is edible (like the cultivated types from Europe) when young and can be used in salads or cooked like greens. It is more and more being discovered as a food source and is rich in Omega-3 fatty acids, Vitamin A, Vitamin C, Vitamin E and antioxidants. In fact it has more Omega-3 fatty acids than many fish. For those of you who are strict vegetarians and don’t want to eat fish, this might be a good source of Omega-3 fatty acids for you. For more information on health benefits, go here or here. 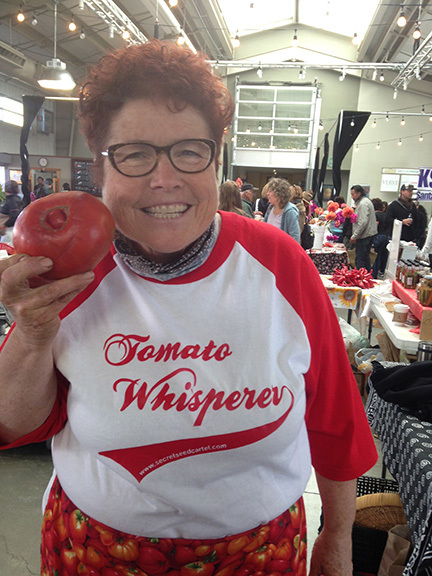 So next time you pull it, you might try it in a salad or steamed. The stems, leaves and flowers are edible so maybe next time I see it flowering (before it seeds) I will pick them and put them in a salad. The plant just doesn’t look that appealing to me, but more and more people are eating it. Now as a weed, it IS considered a nuisance here in NM. It does produce a deep taproot but I find if I just take my hoe and chop it off at the ground when it first germinates, or pull it before it seeds, I can control it. If you let it go to seed, it can be invasive. The older the plant, the harder it is to pull that taproot out and you will need a shovel to completely remove it. Make sure you pick up all stem pieces as it can reproduce itself from them as well. Don’t put in your compost because of this. So is it a weed or a food source? Depends on who you talk to! This entry was posted in EDIBLE FLOWERS, general, LETTUCE/GREENS and tagged purslane weed. I asked Cynthia how to prepare it. She said, “Sauted with olive oil little toasted dried woke red chile and a litle left over beans thrown in tastes healthy ? I have red flowered purslane growing wild in my vegetable garden. I have tasted its clear sap and it had a mild lemon flavor. Other than the flower color it is exactly as pictured all over the Internet. My problem is that I can’t find out if the red flowered variety is edible. I don’t want to start munching it if it’s toxic. Not sure if the red variety is edible. Perhaps more research on the internet will reveal the answer. 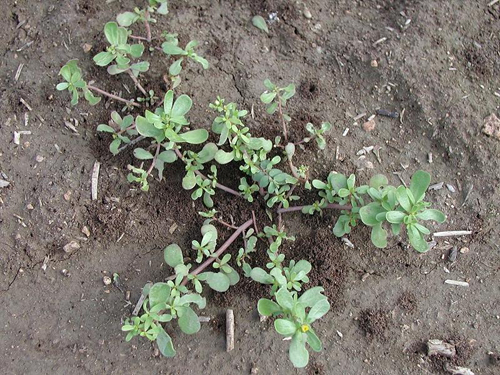 I noticed the Purslane growing wild in Thailand.. people in Thailand thinks its a weed. How can I get this very good Info in the Thai. Language. Yes, retired American only 84yrs old, planning to promote purslane in thailand. Not sure but you might try copying the post and seeing if there is an English to Thai translation on google and if there is just paste it to translate. Alo Vera.. i have been eating the whole leaf of small plants(minus the spikes) , say 12 inch or shorter.. cut leaf up in small pc. and eat raw or blend in blender.. can i do that way? I’m not sure if you should eat it raw but I have heard of it being in some products you take internally. Why do you take it? Do you have stomach problems? Seems I heard it was good for digestive stuff but not sure. I don’t know how to translate into Thai, sorry.